Warm ocean waters and the recent lack of cool weather coalesced into a rough winter for wildlife on the islands known as "California’s Galapagos." About thirty miles out from the Golden Gate, the federally protected Farallones are breeding grounds visited by hundreds of thousands of seabirds – many of which use the islands as a winter way station -- but not this year. Gerry McChesney, manager of the site for the U.S. Fish and Wildlife Service, says that’s a bad sign not just for the Farallon Islands but also for wildlife more broadly along California’s coast. 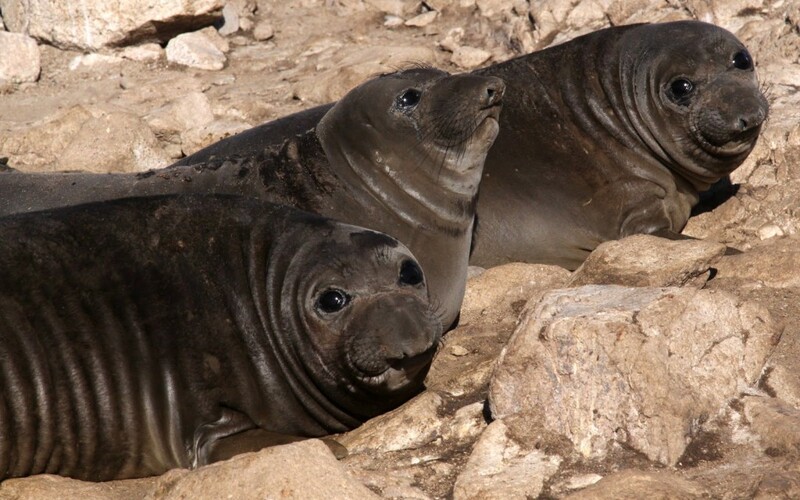 There was also hardship for breeding marine mammals. Dozens of pregnant sea lions proved too weak to carry their pups to term. “That’s such a bizarre thing,” McChesney says. “We were seeing multiple aborted fetuses every day,” 94 in total – or nearly half the number of sea lions born there in 2014. Among the conspicuously absent birds was a type called Cassin’s Auklet, which feeds on krill. All along the Pacific coast, McChesney says, these birds have been suffering “a huge, unprecedented die-off like we’ve never seen” for want of food. That’s also bad news for other species that eat krill, he says, from salmon to blue whales.